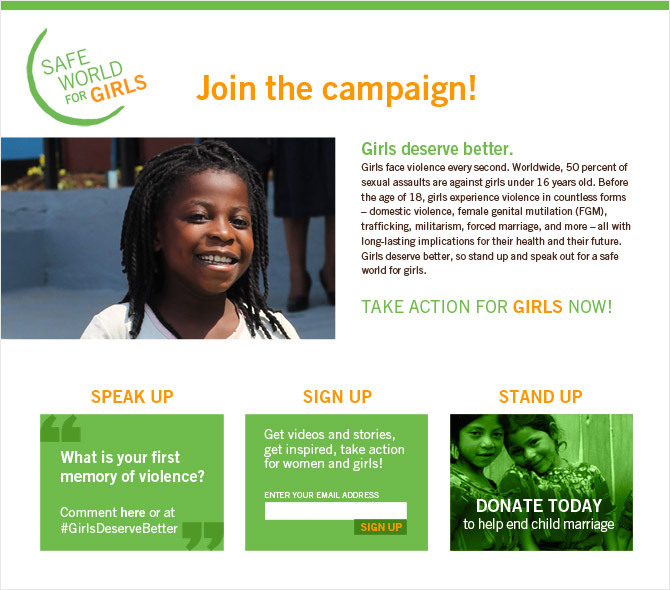 Safe World for Girls is a multi-channel engagement campaign aligned with Global Fund for Women’s initiative to end child marriage. You can read more about this project here. Below is some of the creative I designed and produced for the campaign, our most successful engagement campaign to date. 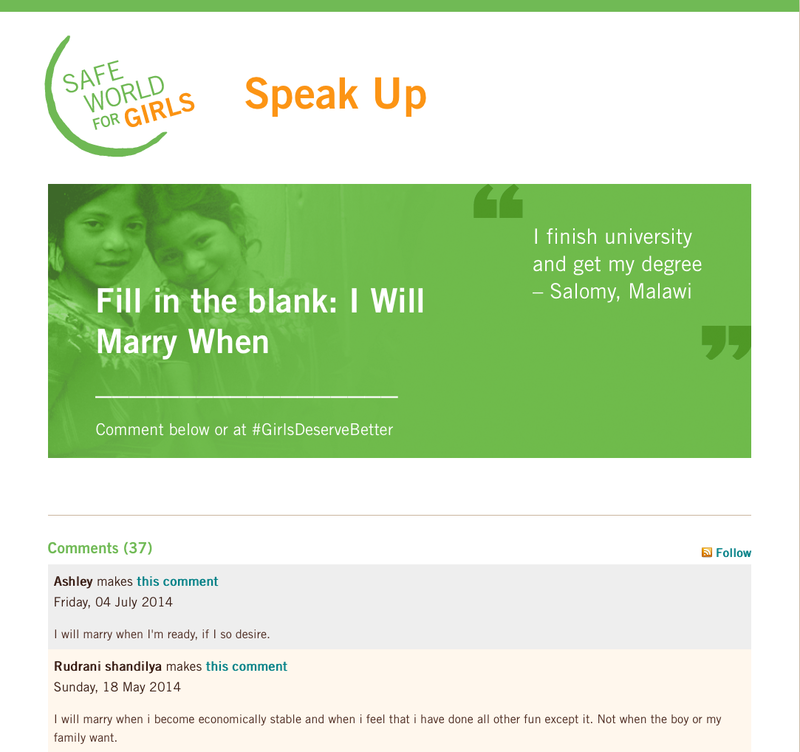 The SPEAK UP landing page provides engagement on the website to accompany the aligned social media posts. 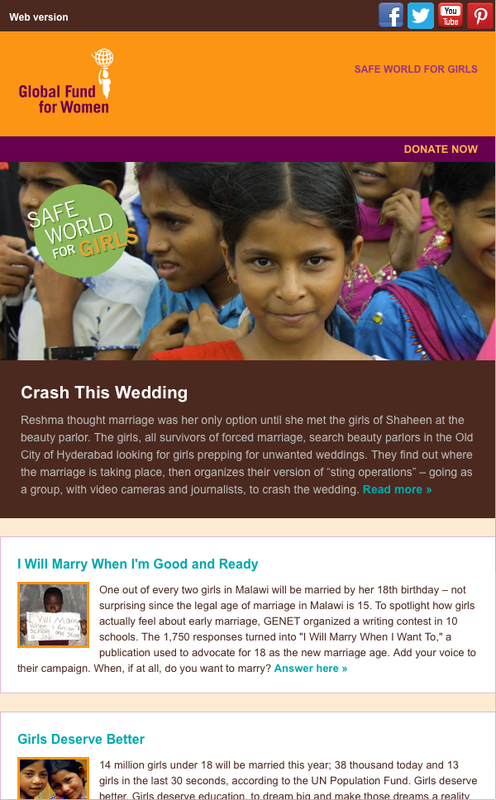 The Safe World for Girls-themed email promotes success stories related to the campaign and donate opportunities.